Summer is on it’s way, and we have signed Rowan up for swimming lessons. In the very recent past, Rowan would have never set foot in any body of water crying every time he was near a pool or the ocean. He has had a few lessons, and things are looking good. However, one of my main concerns, is his exposure to chlorine. I was not able to find a salt water pool for Rowan’s lesson, so he will be in a chlorine pool each week. I recently started reading up on the effects of chlorinated pools. There is a lot information out there, about it’s negative effects, especially for young children and babies. For instance, here in an article from Healthy Child Healthy World it refers to “A 2006 Belgian study showed that use of indoor chlorine pools especially by children younger than 7 promotes the development of childhood asthma.” In another article here, chlorine exposure is linked to certain types of cancer and heart disease, not cool. Slather coconut oil on before each lesson. 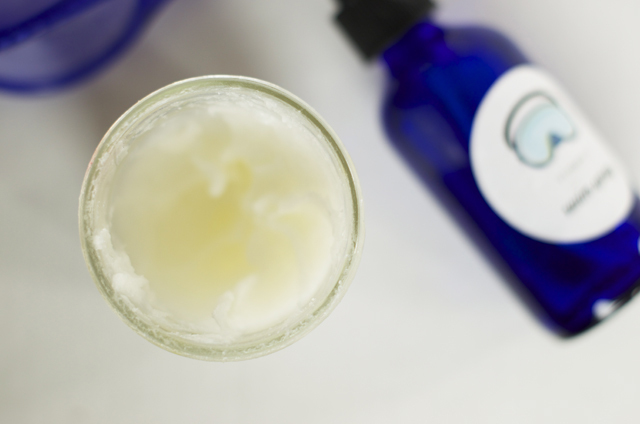 The coconut oil acts as an additional barrier on you and your child’s skin. Vitamin C is excellent at neutralizing chlorine, as well as, boosting your immune system. In addition to using it topically, make sure you eat a lot Vitamin C rich foods (strawberries!) are a part of your summer diet. 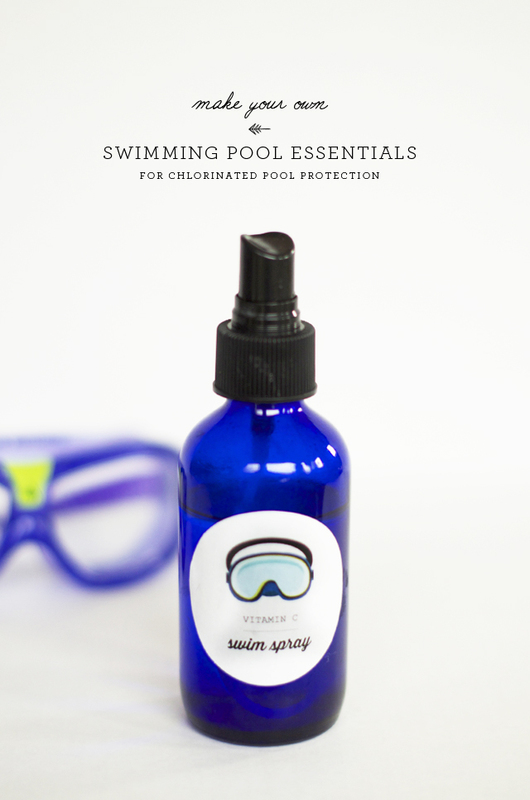 You can purchase swim spray, but it is so simple (and inexpensive!) to make. 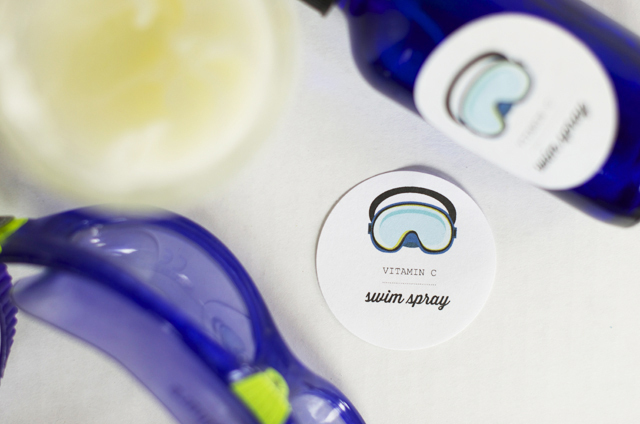 After the pool, spray Vitamin C Spray all over body and hair then shower as usual. You can also add Vitamin C to coconut oil if you prefer. Rinsing off before entering the pool helps by cleaning off sweat, dirt and any products which can have a negative reaction when it come into contact with chlorine. This article states that “Our bodies contain residue from consumer products. When the chemicals used to disinfect the pool mix with organic matter (sweat, hair, urine) or nitrogen rich substances (found in consumer products) it can create a more toxic agent.” And of course, shower immediately after swimming. Have a good weekend and enjoy the pool!